The Kleine Scheidegg area provides endless variety for those wanting an exhilarating experience. From challenging blacks beneath the Eiger抯 north face for experts to easy blues through winding tree-lined paths for beginners. This is an exceptional ski area. 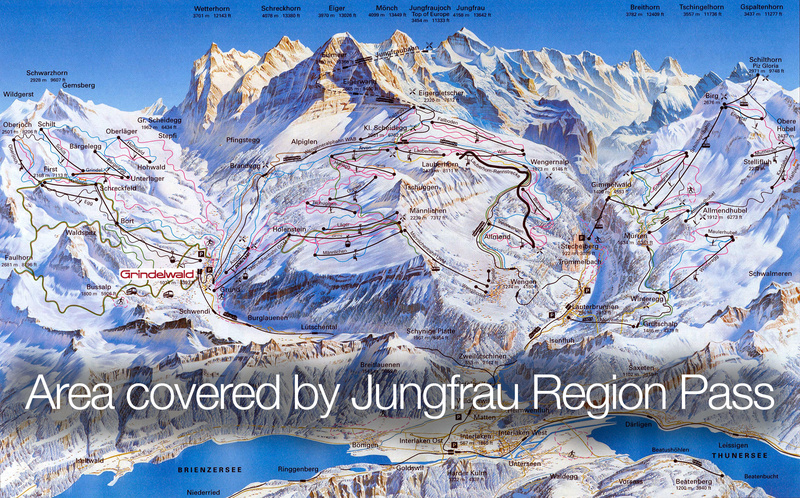 With the Wengen/Lauberhorn World Cup held here each year, it is a favourite snowsport resort for many! For many years we have found Lauterbrunnen to be perfectly placed for also exploring the pistes above the picturesque village of M黵ren. From M黵ren the lift system provides a full variety of runs, rising to the famous and demanding James Bond Schilthorn black run that starts amidst stunning views at 2,971m. With a 2,171m descent all the way back to Lauterbrunnen, this is the route of the world famous Inferno Race. This 15km course carves through tricky 慡� bends and snow-covered woodlands. The winning competitors take just 15 minutes for this descent but some of us may need a little longer! "We came away feeling really encouraged and blessed after spending a week with great people, learning to ski and having loads of fun!" 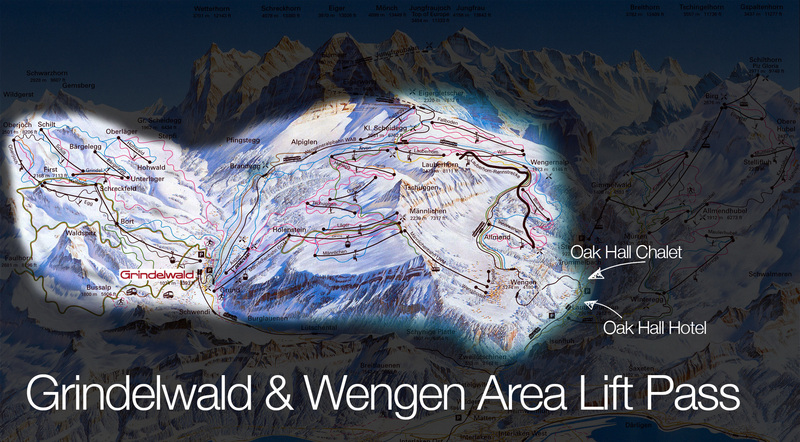 The picturesque mountain resort of Wengen has welcomed skiers since the nineteenth century. Enjoy the easy run back to the village at the end of the day, stop for a hot drink and pastry in one of the many caf閟 before taking the train or hiking down the mountain paths to Lauterbrunnen. For a change from the slopes, the local railways offer a variety of excursions that enable you to visit some of the most beautiful scenes in the Swiss Alps including the lakeside town of Interlaken. Take the mountain train to Grindelwald, Wengen or M黵ren for ice-skating, curling, indoor swimming pools, saunas and fitness rooms. "Step out of the door and watch water cascading from cliffs 1000 feet high. Sip hot chocolate under the North Face of the Eiger. Ski past frozen waterfalls. Taste crunching apple fritters. Race the biggest downhill run on the world cup circuit. Brave the 'James Bond' black run from the Schilthorn. Experience the untouched off-piste. Whirl the ice rink in Wengen. Return home to the friendly Oak Hall atmosphere." Once again we provide the unbeatable combination of exceptional pistes with excellent alpine hospitality at a remarkably low cost including three meals a day after arrival and free tea, coffee and hot chocolate at our Swiss chalet. The standard chalet bedrooms accommodate four in comfortable bunk rooms. Every bedroom has its own washbasin and there are a good number of additional facilities throughout the centre, including plenty of hot showers. Here at Lauterbrunnen we have teams of expert ski and snowboard instructors ready to teach all levels of ability. Click here for more details about Oak Hall winter sports tuition. We also host our video-supported, 揂dvanced Ski Courses� here giving 20 hours of intensive coaching. Click here for more details. A small supermarket, internet facilities, and are close to the chalet with more amenities in the village a short walk away. Each morning our local ski bus takes us on the short journey to the mountain railway which then winds up to Wengen and Kleine Scheidegg. Our Oak Hall team will lead the Bible talks each evening, with a range of fun activities to follow for those ready for more! Fondues, mountain walks, ceilidhs or a warm friendly environment for those just wanting to sit and chat about their day. "Thank you for such a special holiday � enjoying the unspeakable splendour of God抯 creation along with Christian fellowship..."